Sweetwater is located on Wood Thrush Drive, just off Highway 17 Bypass in what one would think is Surfside Beach. It's near the Indigo Creek and Indian Wells Golf Clubs, north of Garden City. However, it is zoned as Murrells Inlet.A large complex, some buildings have views of a courtyard, where others overlook the pool, tennis court, Indian Wells Golf Course, or a sparkling lake. The wooded landscaping and walking trails give the complex a very residential feel. A large complex, some buildings have views of a courtyard, where others overlook the pool, tennis court, Indian Wells Golf Course, or a sparkling lake. 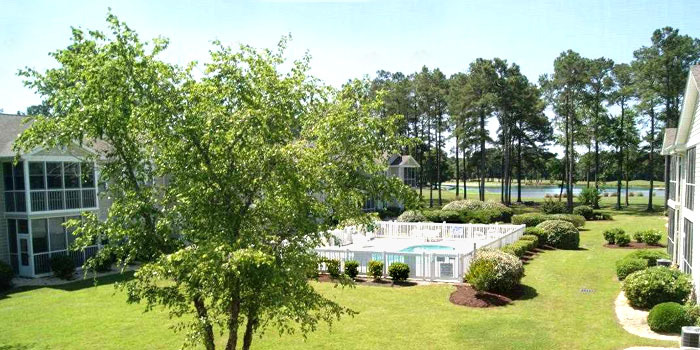 The wooded landscaping and walking trails give the complex a very peaceful and residential feel. Sweetwater is perfect for a primary residence or golfer's vacation home. Condos come in two or three bedrooms, and prices range from about $80,000 to $125,000, depending on size and view. Most are three stories and a few are two stories. The first buildings were developed in 1994 and others in 1996. All have screened porches or balconies. Children attend Seaside Elementary School, Saint James Middle School, and Saint James High School. 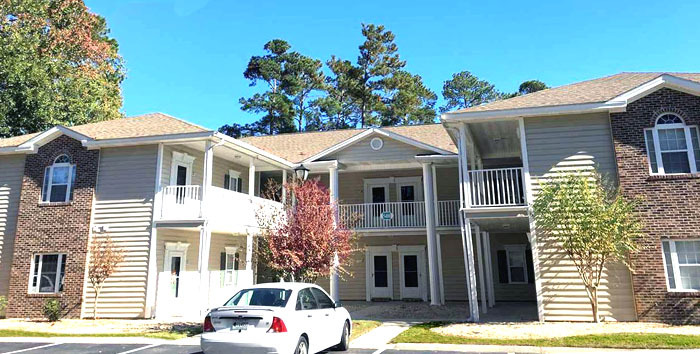 Sweetwater has an ideal location, being convenient to Market Common, Surfside, and Garden City beaches, with many restaurants and business minutes up Hwy 17. If you're interested in this community of condos, give us a call and we'll show you around.